California Gov. 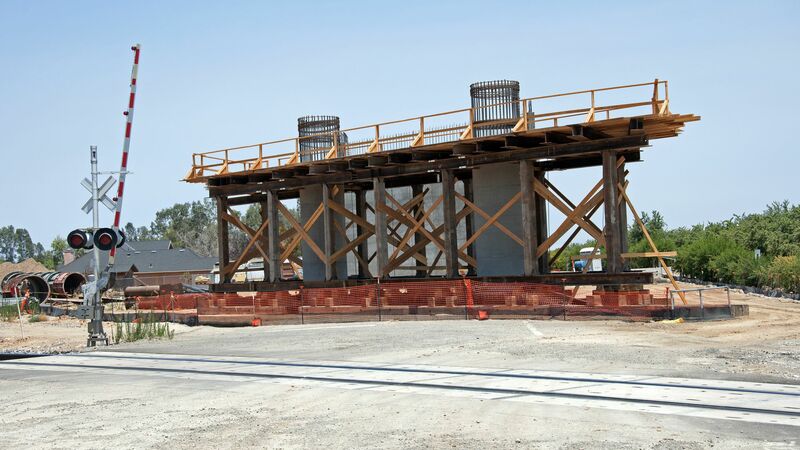 Gavin Newsom has called for dramatically dialing back the formidable high-speed rail project. The project will be confined to California’s Central Valley, running from Merced to Bakersfield, Newsom said. Axios Ben Geman emails: It’s part of decarbonizing transport along with other mass transit options — such as electric buses, other kinds of trains, better pedestrian options and bikes — and EVs. 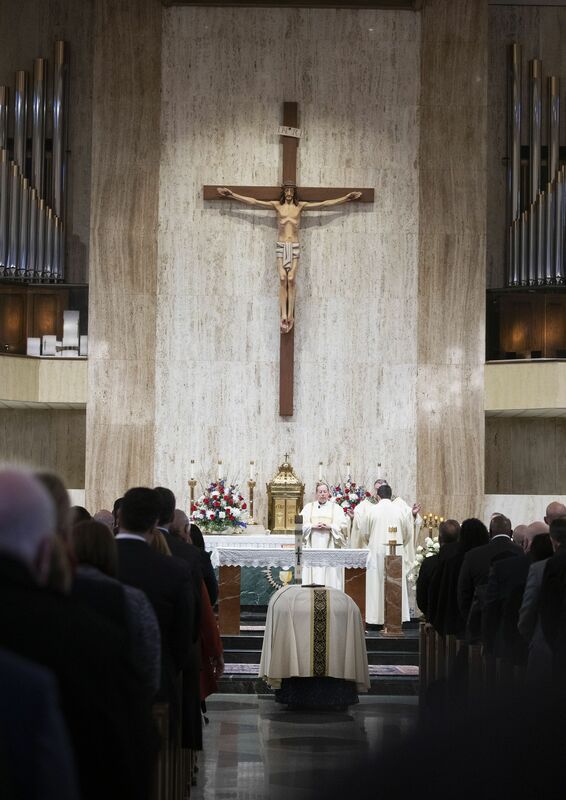 Above: The casket of former Rep. John Dingell rests at the Church of the Divine Child during his funeral today in Dearborn, Michigan. 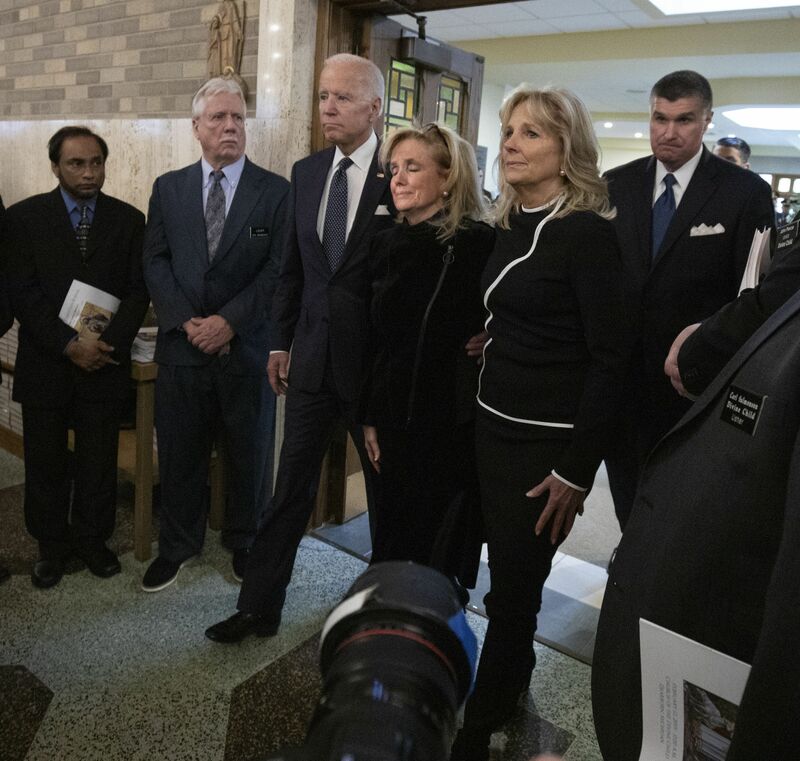 Below: Rep. Debbie Dingell, his widow, arrives with former Vice President Joe Biden and Jill Biden. Jurors have convicted Joaquin "El Chapo" Guzman in a decision that could send the Mexican drug trafficking kingpin to a high-security prison for the rest of his life. Go deeper. President Trump is "not happy" about the deal reached in a bipartisan conference Monday night to keep the government open past Friday. Go deeper. The U.S. has released rapper 21 Savage on bond and granted him an "expedited" deportation hearing. Go deeper. The National Enquirer is sparking a media crossover, with activists pushing to persuade stores to stop carrying tabloids in light of recent scandals around the publication. Go deeper. "From 'A Quiet Place' to 'A Star is Born,' studios backed more films with female leads in 2018, according to new research," Variety reports. "Out of the top 100-grossing movies, 40 films had women in central roles as either the main character or the co-lead ... an increase of eight films from the previous year and 20 movies from 2007. It is the highest percentage of female-driven films in 12 years."